To provide justice is a central endeavour of any human society and the aim of any state. However not all human societies have the same idea about what is just. That means, the idea of justice is different in different cultures and it changes over time. The understanding of justice in a tribal or a feudal society is different from a democracy where justice is supposed to mean fairness administered to all members of society equally regardless of their social standing or financial status. Pakistan with its state and laws is mainly an inheritance of British rule. Ever since independence we have lumbered with the utilitarian idea of justice left behind by the British which means justice is what has the best consequences and those consequences are measured by the total average welfare that they cause. Pakistan is perhaps the only country in the world where feudalism is very much alive and flourishing. Calling itself an Islamic Republic Pakistan since its inception has made a very incomplete and weak effort to fill this idea with any great relevance. The Islamic understanding of justice differs from the practiced one in Pakistan in two main fields: one, justice is not only a material category but it has a spiritual dimension and secondly, all people of a society deserve justice equally, Muslims and non-Muslims, rich and poor. Our problem stems from having defective laws of evidence that really have no relevance with the 21st century. When we say justice delayed is justice denied, do we cater for clever lawyers who use every technical point that they can raise in order to delay the due of process of the law? Based on such an understanding the laws that would be devised on such an understanding would be able to punish all wrong-doing even the hidden one. How do we know that it is ill-gotten if we can’t exactly prove the ill way it has been accumulated? The formula ‘means beyond known sources of income’ is the key and must be applied diligently and relentlessly. Our problem stems from having defective laws of evidence that really have no relevance with the 21st century. When we say justice delayed is justice denied, do we cater for clever lawyers who use every technical point that they can raise in order to delay the due of process of the law? To deliver justice has always been an important endeavour of any state and the creditability of an administration or government that cannot and does not deliver justice is not credible; it is on the contrary weakening the system and the state. The honest citizens of the country feel discouraged to go to court because they are not sure that justice will prevail and the crooks are going to court because they are quite sure that they can manage things to their satisfaction. That is why implementing the respective laws and fighting against perjury should be a major point for our courts in order to improve the delivery of justice. One central principle of justice is that all people should be equal in front of the law, ie the law applies to all equally; to the Chief Minister as much as to all other citizens. This is even today not understood and practised in Pakistan. There are ‘good families’ and others and with a lot of money one can ennoble oneself. And then somehow the laws apply differently or not at all. 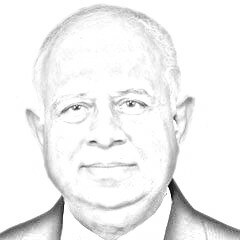 But in a modern democracy the one Pakistan tries to emulate the citizens ideally would share the understanding of justice and its delivery and would step down voluntarily if and when their integrity comes into question. Fighting corruption is a demanding task everywhere in the world but it is especially difficult in Pakistan where most to the ruling class and sitting politicians are part of the problems rather than of the solution. The solution of our problem might lay in the fact that we are trying to emulate a state and a system that doesn’t really fit our society. Because of the limitations of justice in the West to its material dimension lawyers don’t have to take into account the spiritual and moral meaning which is a just society the way God has planned it and revealed it to its successive prophets. The West has done away with that part of the story. That is why they say ‘innocent until proven guilty’. But shouldn’t an Islamic Republic do it otherwise? Ill-gotten money remains ill-gotten money as long as it is not proven otherwise. ‘Guilty or under suspicion until proven otherwise’. The presence of undeclared money and other assets and the possibility to get away with it indirectly corrupts the society by dangling this option in front of their eyes. If one can get away with it why not me as well? Islam does not accept the separation of material and spiritual contents of justice. In an Islamic society laws have to be made and applied in a way that serves not only their letter but their spirit as well. And the spirit is to provide justice in the eyes of God. For Muslims not only the here and now but the Hereafter matters for those who make the laws, who apply them and who try to undermine them. Under such circumstances do our laws of evidence provide justice or have they been framed to avoid justice?